Jalic Blades | Retailing and manufacturing collectibles. Welcome to Jalic-Blades.com, the hub for information on the manufacturing and retailing division of Jalic Inc. We are manufacturers and retailers of swords, knives, and medieval collectibles. We sell direct retail to the consumer, as well as to wholesale customers and distributors on 6 continents (we are still working on making inroads with the penguins). Prop replica weapons such as the many swords we sell are not like other commodities and it takes an experienced operator to both manufacturer them with quality and navigate the various fulfillment and logistic challenges of these unique products. We have over 15 years experience retailing and shipping these items all over the world, and over 12 years experience manufacturing quality products ourselves. 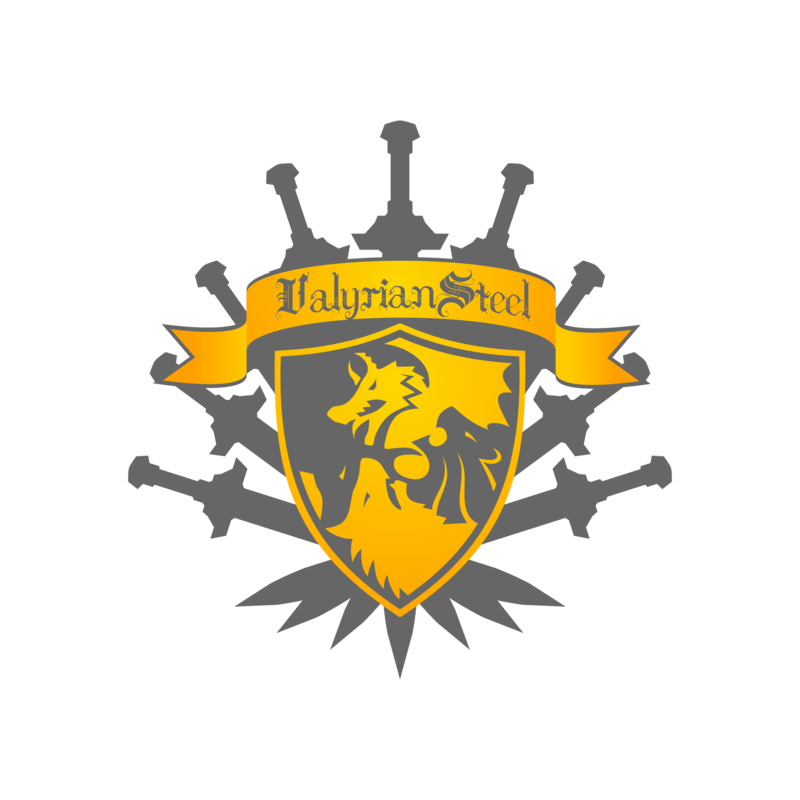 Valyrian Steel is our Westeros brand. We hold an exclusive official license to produce replica weapons and armor from HBO®’s hit TV series Game of Thrones® (since 2011), and George R.R. Martin’s A Song of Ice and Fire book series (since 2006). We are thrilled to be a part of one of the most popular book series in the world and one of the most popular television shows in history. Four Corners Forge is our Temerant brand. We hold an exclusive official license to produce replica weapons and armor from Patrick Rothfuss’ The Kingkiller Chronicle. Often said to be the second best selling series of modern fantasy (after A Song of Ice and Fire), Patrick Rothfuss’ novels were recently optioned for multimedia by Lionsgate. There is a television show in development at Showtime, and Lin-Manuel Miranda (of Broadway’s Hamilton and Disney’s Moana) has signed on as one of the producers of the film. We hold the license to produce weapon and armor prop replicas from Warner Bros. 2017 Guy Ritchie Film King Arthur: Legend of the Sword, starring Charlie Hunnan, Jude Law, and Eric Bana. From this film we have made two versions of Excalibur, the legendary sword out of Arthurian myth. 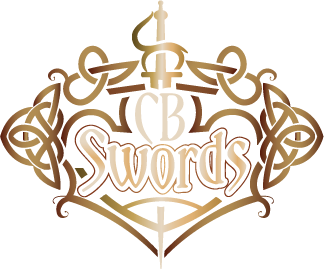 CB Swords our original retail channel (since 2003), features swords, armor, and other medieval items, and also movie collectibles. CBswords.com features The Lord of the Rings Swords, Kit Rae Swords, and swords from other popular movies, books, and TV shows. Hobbit Swords is a retailer officially licensed products from The Hobbit movies, and Lord of the Rings movies. 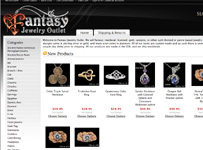 Fantasy Jewelry Outlet is our jewelry store featuring original unique fantasy designs, as well as licensed replicas from The Lord of the Rings, The Wheel of Time, Patrick Rothfuss’ books, Brandon Sanderson’s books, and others.